Eduard Kukan Member of the European Parliament and Co-Chair of the EU-Serbia Stabilisation and Association Parliamentary Committee said Serbia was making progress in EU accession talks, but was nonetheless faced with issues that require much more energy, noting that chapters 23 and 24 are essential for success of accession talks. 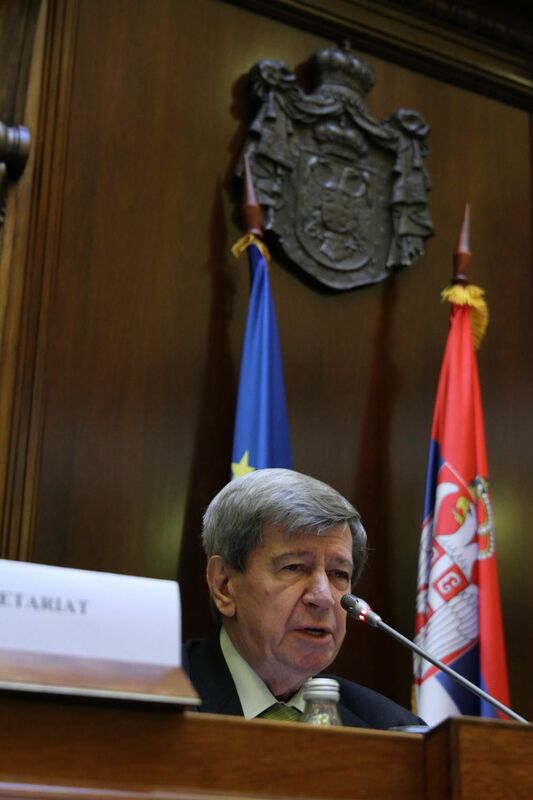 Overall impression is positive and Serbia is doing a good job in the EU integration process, Kukan said. 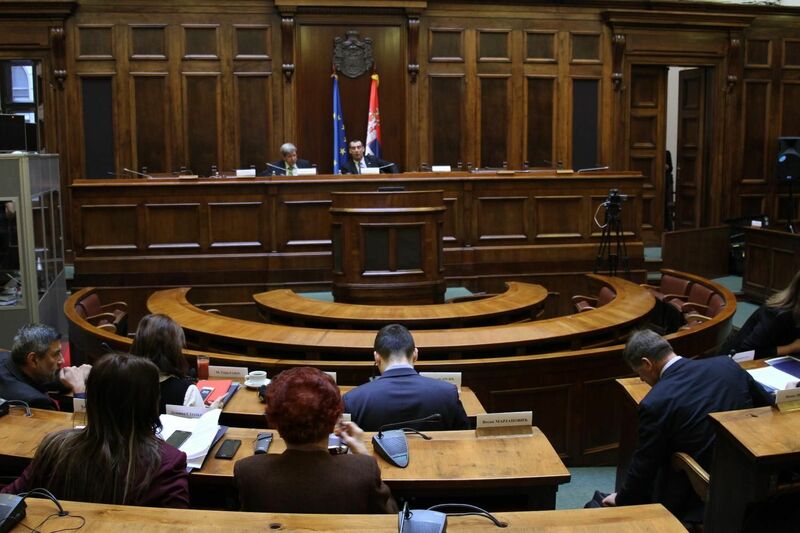 He told the press at the National Assembly that during their visit to Belgrade, the EP Delegation spoke with Prime Minister Ana Brnabic and Ministers Nebojsa Stefanovic and Nela Kuburovic. “We informed Government representatives, the same way we briefed our counterparts in the Parliament, that there is an atmosphere of readiness for enlargement in all European institutions and that they are paying a lot of attention to that topic,” Kukan said. Noting that Bulgaria was the next in line for EU Council presidency, followed by Austria and Romania, Kukan said that those countries were all working towards ambitious goals and “pushing for” the enlargement process. “We advised Serbia to seize this opportunity and do more and achieve tangible results,” Kukan said and stressed that on Wednesday the Delegation of European Parliament MPs had a meeting with NGO representatives with whom they discussed the state of reforms in Serbia. Speaking about the meetings in the Parliament, Kukan said the delegation held two sessions and had a good and open debate in the presence of Jadranka Joksimovic Minister of European Integration, Sem Fabrizi Head of EU Delegation to Serbia and Daniel Erik Schaer Ambassador of Estonia, the incumbent EU presiding country. “We discussed all issues openly, we had a friendly debate. We raised all questions, from the freedom of media to Parliament’s work. It was a spirited and meaningful conversation,” Kukan said and added that becoming a member state would be a good thing for Serbia but also for the EU as Serbia’s membership would enrich the Union. The negotiating process is advancing well, Kukan said and added that he was aware of the authorities’ expectations regarding the opening of chapters, but said that the work should go on. “Chapters 23 and 24 are essential for any future success in negotiations, more precisely justice reform, fight against organised crime and corruption, rule of law. In order to finish the justice reform, you are expected to make constitutional amendments. These chapters are the most important, that is why they had been opened at the very beginning. We know some chapters are technically ready, and the European Commission will make a decision on it,” Kukan said. Future EU members should bear in mind that they need to step up their reform efforts, but not lose the dialogue with Kosovo out of sight; he said referring to EC President Juncker’s notion of the time horizon. “In Brussels, we always say we appreciate efforts from both sides. We particularly appreciate the President’s initiative to launch an internal dialogue on Kosovo. NGO sector told us that a few meeting have taken place, but that we should not expect fast and easy solutions,” Kukan said. When asked about the state of democracy in Serbia, Kukan said that opposition representatives criticised the functioning of the Parliament on Wednesday and complained about being denied the opportunity to speak during the budget discussion. “Their colleagues from the ranks of ruling parties say otherwise. In any country, there is always room to improve the democratic standards of the parliament. As far as Serbia goes, I believe that your Parliament can evolve, provided that you hold serious discussions and listen to one another and agree on the best way to run the Parliament,” Kukan said.